This letter was submitted to the Two Row Times and has been edited solely for grammar, thus the opinions and words therein are not a reflection of this publication. A message to all: The men and women who participated in building the arena spent their time and energy to make life better on the reserve, passionately striving to instil confidence and give hope to the younger generation. It enables us to withstand the slurs and put-downs we encounter each day knowing it’s not true. Many of our local athletes have been given praise and awards above and beyond what our community can provide. Why then should you take the only building that truly belongs to all of the people at Six Nations and name it for one person? Through the sacrifice of their blood, sweat and tears, the builders are entitled to keep their given name for the arena. There are many buildings on the reserve that are Band owned which do not hold the same sense of personal ownership by the people. Some buildings already bear the names of significant individuals, some others do not. Take one of those if you need a building to attach a name to. Just return our community name to the arena our community built on their own dime in their own time, with their own hands. I believe that The Band Council of 2001 made a decision in response to an emotional request when they renamed our arena. 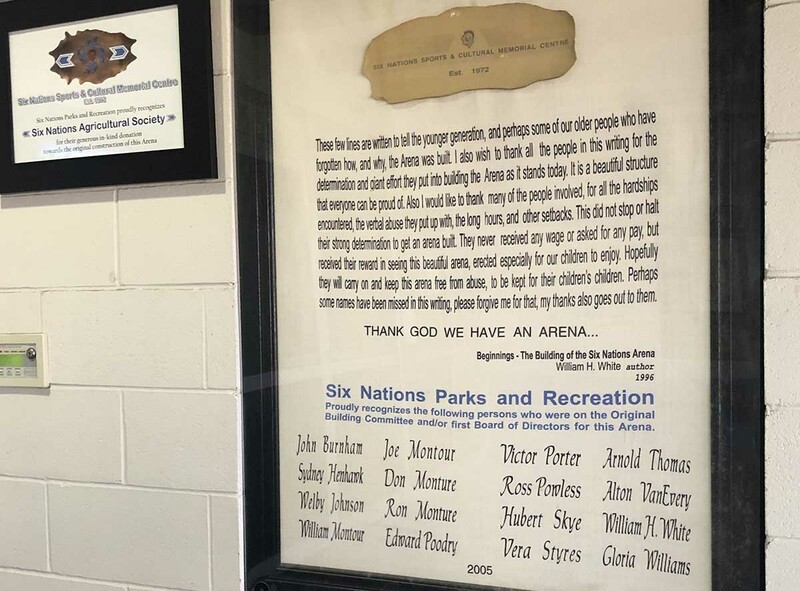 Apparently, they did not know the history of the building that stood as The Six Nations Sports and Cultural Memorial Centre for twenty-nine years. They were seemingly unaware of the way that any individual could display their awards with a show case, plaque or trophy inside of the building. They chose to ignore the established plan of the arena committee. With regards to naming the arena, we chose to abide by our Haudenosaunee cultural values and beliefs. It is not our way to aggrandize an individual by naming our building after one person. 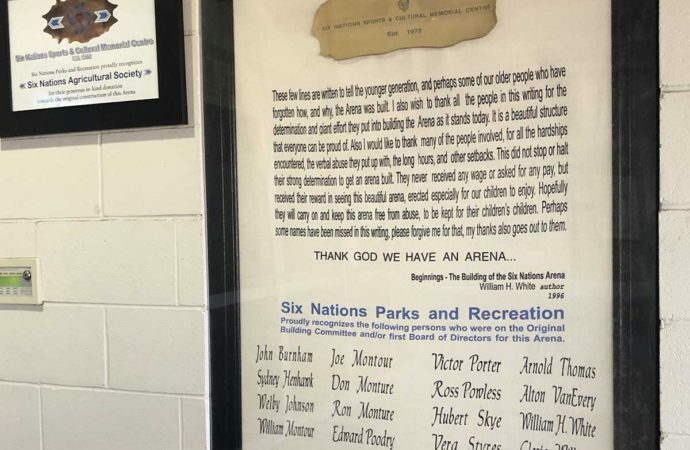 This was made clear by all the participants on the arena committee who believed in “The Great Law.” Therefore an all-inclusive name was chosen by the arena committee in 1972 and a Band Council resolution was passed to confirm that name as The Six Nations Sports and Cultural Memorial Centre. Let that name continue to stand in tribute to the arena builders, a reminder of our Haudenosaunee cultural values and beliefs and the togetherness that our community is capable of.